- Over time, skin can lose up to 30% of skin firming fibres. The skin dehydrates, the face can sag and dark spots can appear. 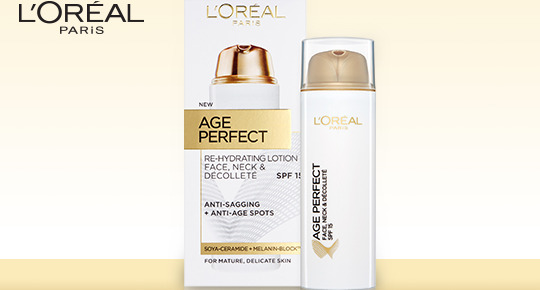 These signs of ageing are most prominent on more delicate areas, such as the face, neck and décolleté, or chest. - The light texture is enriched with UVA/UVB filters to care and restore femininity and elegance to the most delicate areas of the skin. 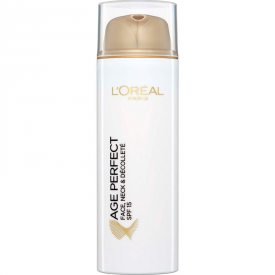 - The L'Oréal laboratories have developed a non-greasy, re- hydrating formula enriched with Soya-Ceramide complex, which targets the sagging of the skin, and Melanin-Block, to help reduce the appearance of age spots. - Immediately, the skin feels nourished and more comfortable, without feeling tight. The face, neck and chest are protected throughout the day. - Day after day, the dark spots fade. Wrinkles appear reduced and the skin texture is smoothed. This is a decently priced product that is pleasant to use and has not caused me any adverse reaction . Mine was free from BzzAent so even better value! 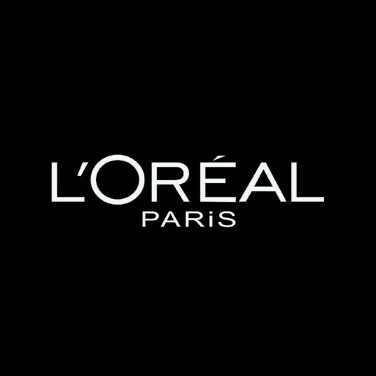 Not convinced about L'oreal's no animal testing promise - they sell in China where at present all beauty products must be tested on animals though this is changing for some. This is nicely packaged and looks a classy product. I like the fact it has a push pump dispenser to keep the contents free of contamination. I also like the fact the container is plastic as it is lighter to hold and less dangerous if you have a tiled bathroom. I have had a couple of glass accidents in our bathroom . 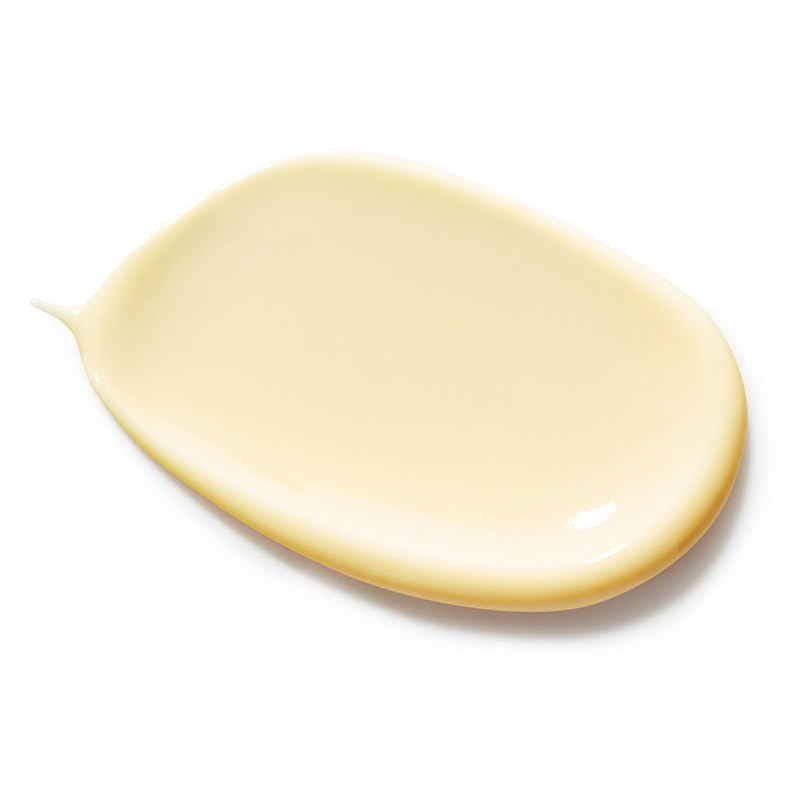 The actual moisturiser is a lighter textured yellowy cream coloured lotion. I find that it is very quickly absorbed into my skin leaving it feeling soft, cool and well moisturised without being greasy at all. 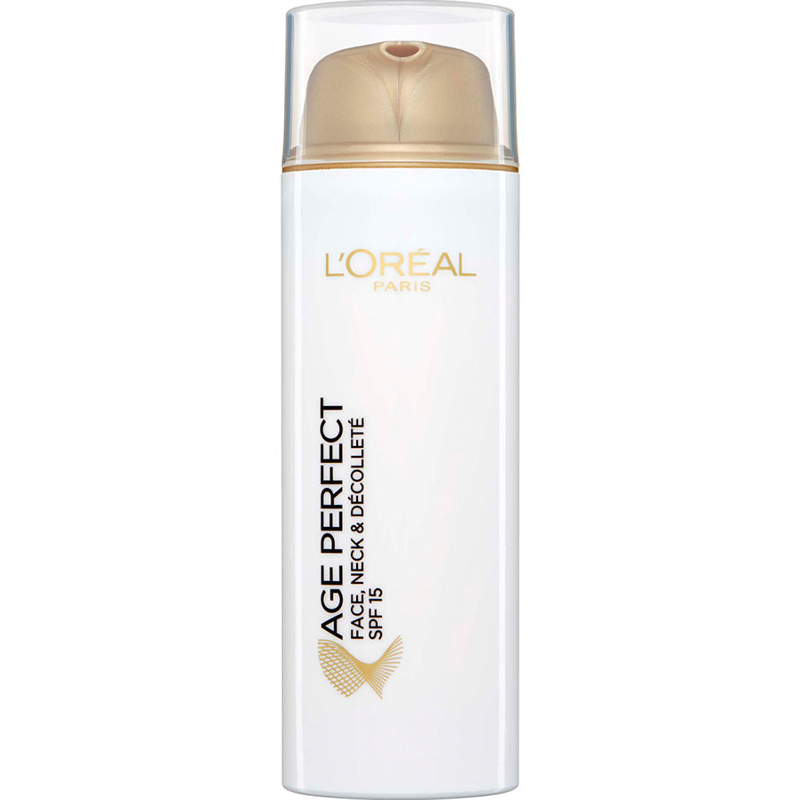 I love that it has SPF even if only factor 15 it is better than most day moisturisers. If you apply foundation on top of this it sits well and doesn't cause mine to slip or make its way into my creases and lines. I have very sensitive skin and have not had any adverse reaction from using this for a week now. I can't say my skin looks any younger from using this for a week but I do always use high quality face moisturiser so I was not expecting dramatic changes in my lines and wrinkles. I do find that this is feels nice on my skin, it doesn't make it feel tight or make my skin greasy at all and I do have a tendency to a greasy T zone. I like that this is such a nice light texture as I can apply it quickly and easily without pulling at my skin. I have been careful to keep it away from my eyes as I have special eye products for that area and have found that some moisturiser for the face cause my eyes to sting if they water during the day. I do have mature skin so I am the target audience for this and so far have found it pleasant to use, it has no discernible scent and my make up sits well on top of it. By the way it works well on the back of my hands too and as they do look a bit tired and old I have used this if I am going out to make them look slightly less aged. "This is a decently priced product that is pleasant to use and has not caused me any adverse reaction . Mine was free from..."